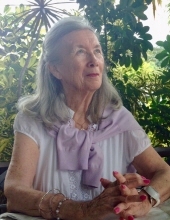 Kathleen Marie (Powers) Lynch passed away peacefully on March 15, 2019 at home in the loving care of her family. She was 86. As the oldest of ten sisters and brothers, her nurturing spirit continued as loving wife and mother to her family of five children and five grandchildren and two new great grandchildren. She was blessed with a beautiful singing voice and shared her Broadway renditions, Irish songs, lively expressions and being first on the dance floor at family events. Cherished memories of family gatherings every summer at Cape Cod will always be in our hearts. Kathleen was born in Lawrence, Massachusetts to Elizabeth and Joseph F. Powers. She grew up in Middleboro, MA staging shows and entertaining with her beloved siblings. She moved to Newark, New Jersey and worked for Merrill Lynch and Prudential. She met and married Thomas H. Lynch of Jersey City. Together they shared 53 years of marriage. Residing in Colonia, NJ since 1958, Kathleen devoted her time to her family. She remained active in her Church contributing to the Altar Rosary Society and activities at St. John Vianney school where all five of her children attended. In later years she worked as a telephone switchboard operator at Rahway and Overlook Hospitals. She was predeceased by her husband, Thomas, and moved to Denville, NJ to be closer to her family. She loved her gardening, artistic projects and reading but, most of all, her family. She leaves behind her children Elizabeth Conover, Thomas M. Lynch, Terrence Lynch, Laurie and Regina Lynch. Her grandchildren Tara Lynch, Daniel Lynch, Meghan Burns, Thomas S. Lynch and Katie Rose Conover. Kathleen was thrilled to have two great grandchildren both born in December: Steven Thomas Penka and Charlotte Elizabeth Burns. Her siblings JoAnne Cadorette, Peggy Correia, Thomas Powers, Rosemary Comeau, Brenda Calligan and John Powers, as well as wonderful spouses, nieces/nephews, friends and caregivers. In addition to her husband, Thomas, she was predeceased by her sister, Elizabeth Cabral, and her brothers, Joseph Powers and Terrence Powers. The Funeral Liturgy is at 10:00 am Saturday, March 23, 2019 at Church of the Assumption of the Blessed Virgin Mary located at 91 Maple Avenue, Morristown, NJ 07960. Interment will follow in Holy Rood Cemetery, Morristown. To send flowers or a remembrance gift to the family of Kathleen Lynch, please visit our Tribute Store. "Email Address" would like to share the life celebration of Kathleen Lynch. Click on the "link" to go to share a favorite memory or leave a condolence message for the family.